The first ever Hand-to-Hand Fighting World Championships was held in Moscow on Sunday. With eight titles at stake, it was the hosts who got their hands on most of them. A hundred athletes from all over the globe were in Moscow with just a single target to hit – to become the first-ever hand-to-hand fighting world champions. The combat method was initially used for training troops, utilizing the most efficient stand-up fighting and wrestling techniques. But out of this, grew a sport. “We always insist that hand-to-hand fighting is first of all a sport. We don't claim to be the most brutal, efficient or even bloodiest sport. That's not the point. 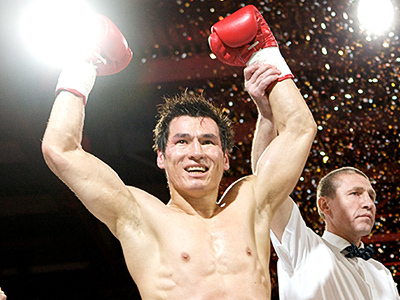 This sport is one of the fastest-growing globally, although it has a long tradition in Russia,” says Sergey Astakhov, President of the International Hand-to-Hand Fighting Federation. Team Russia certainly squared-up to the challenge, dominating the World Finals held on the home mat. 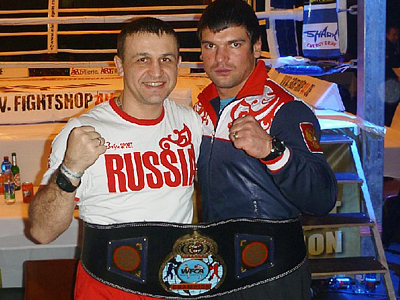 In the 60 kilo weight category, Dmitry Kiryushin had to overcome both his opponent, the United States’ Chris Tagos, and his own knee injury. He did both fighting through the pain to the biggest title in his life so far. When it came to the heavier guys in action, Russia also had more to be proud of. Roman Kopylov was hardly bruised in his scrap with team USA's Stanley Rousonelos. With two more golds for the home side claimed by Atmir Khakirov and Ilyas Abayev, it was Vitaly Deriglazov whose furious fists completed his teammates' success on the night. Russia claimed five golds out of eight weight categories. Next-door neighbors Kazkhstan were not far behind, capturing the other three golds.